Mindy Weiss is known for her gorgeous wedding designs, celebrity events and lifestyle expertise. Having spent over 20 years in the event planning industry, Weiss has seen it all and is here to give us her two cents on what’s hot, what’s new and where in the world she’d love to travel to. What’s new in the world of Mindy Weiss? Are you finding the needs of brides have changed since you started in this business and how are you meeting those needs? Yes and no. The basic needs of brides are still the same as they were 20 years ago - they ultimately want a beautiful wedding and a stress-free day. However, what’s changed is the amount of information accessible on the Internet. I think brides feel free to be more creative with their weddings and personalize it with their own style! I post pictures of our past events on my blog and website so brides can get inspiration for their weddings. We really want each wedding to be unique to the couple. 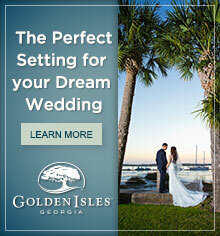 Do you feel that destination wedding brides’ needs are different than those of the hometown brides you cater to? Destination brides are more concerned about creating an experience for their guests. 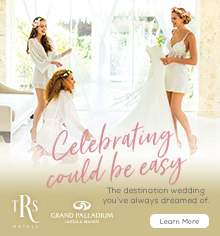 When deciding to plan a destination wedding you are not only planning for the big day, but also for the entire weekend’s activities. It’s more of a priority for them to have events leading up to and after the wedding so their guests are included in the overall experience. 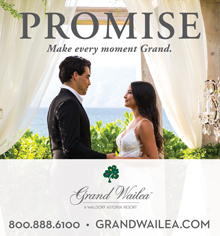 There may be fewer guests in attendance, but destination weddings typically have more events. What is the most over-the-top destination wedding you've done recently? I just did one in Cabo at the One and Only Palmilla which was amazing! It was an entire weekend of festivities - guests were greeted with “Ole!” welcome bags filled with goodies when they arrived. On Friday night we had a big welcome party on the beach with a Mariachi band, dinner, dancing and a gorgeous lounge area right on the shore. Saturday was the wedding held on the beach followed by a beautiful and colorful dinner reception. The night ended with a Moroccan themed after-party complete with a cigar roller, Mexican coffee and a fireworks show! How do you feel the wedding industry has changed since you became a part of it? What are some hot trends you are seeing pop up? I’m loving the comeback of classic - veils, tuxedos and bowties. I think the royal wedding really has inspired a new generation of brides to incorporate traditions. I also love the concept of making the reception more interactive for guests - having game stations, photo booths and “living” guest books so friends and family can be part of the day! What has been your absolute favorite celebrity wedding? What made it so great? I’ve loved all my celebrity weddings! Knowing that I have become part of their memories is truly an honor...but I must say Heidi Klum and Seal have become very dear friends and the perfect clients...why you might ask? Well they renew their vows EVERY year! What is your favorite destination to travel to for personal or professional reasons? 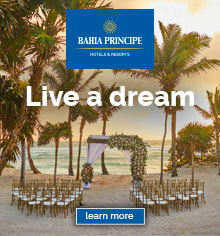 Any place you would love to travel to for a client's destination wedding that you haven't already been? I absolutely love Italy! Especially Capri - the food, the culture, the atmosphere...it’s just magical. Mexico makes me swoon, I adore the people and the music makes me dance through my events. I have never done an event in Greece, but maybe if I put it out there it will happen. I’ve always wanted to plan a big, fat Greek wedding! 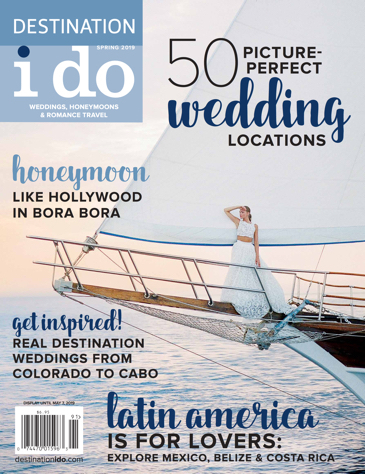 What happens when the most popular international destination wedding and honeymoon travel magazine marries a legendary real estate icon? The youngest and largest of all the Hawaiian isles, the Big Island is also the most diverse – it boasts 11 of the world’s 13 climatic zones within a little more than 4,000 square miles.